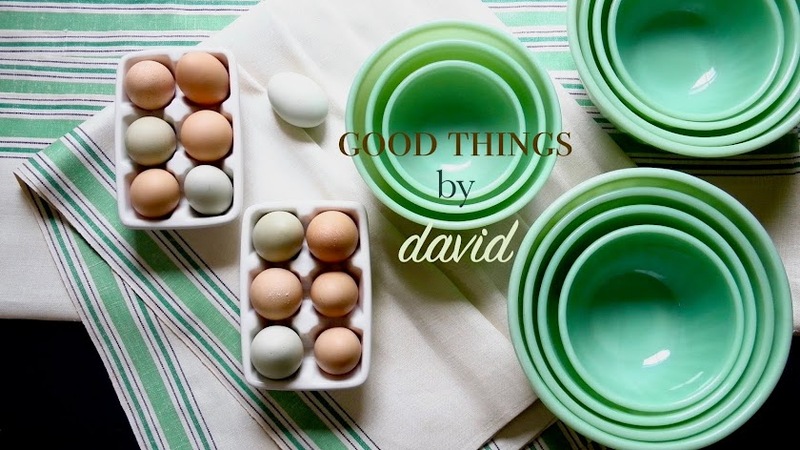 Good Things by David: Can I Freeze Iced Cookies? Can I Freeze Iced Cookies? This question gets asked every now and then here on the blog and I always tell people that they most certainly can freeze my sugar cookies once they've baked and cooled. In fact, I think it's a time-saving thing to do if you're going to be icing dozens of cookies for an event or celebration. No one wants to be stuck at the last minute baking & icing a mass of cookies in the wee hours of the night. That is not fun. Here are some things to consider if you want to freeze baked & undecorated cookies, as well as baked, iced & decorated cookies. Once baked and cooled, freeze exposed cookies in single layers on a flat cookie sheet. Frozen solid cookies should then be placed in freezer zip-top bags or vacuum-sealed bags in stacks of no more than 4 cookies; remove as much air as possible from the bags to prevent freezer burn. These are best left on baking sheets, but they can also be put into plastic freezer containers. Freeze cookies for up to one month. Thaw sealed cookies overnight in the refrigerator. Bring to room temperature before icing and decorating your cookies. 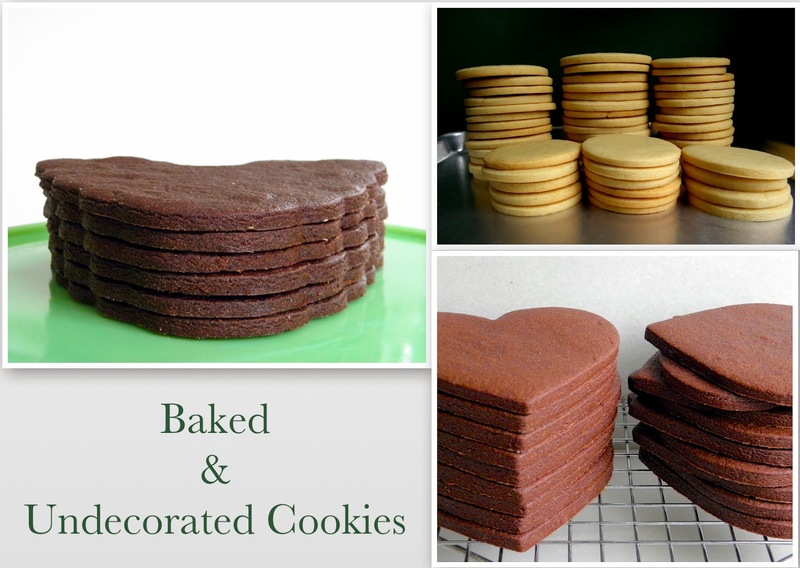 After your iced & decorated cookies have dried completely, freeze in single layers on flat cookie sheets. Frozen solid cookies should then be placed in freezer zip-top bags or vacuum-sealed bags in stacks of no more than 4 cookies; place parchment or waxed paper in between each cookie & remove as much air as possible from the bags to prevent freezer burn. When stacking cookies, form stacks of same-shaped cookies and not a random assortment of shapes--this prevents cracks or breaks. Freeze for up to one month. Bring to room temperature before serving or packaging up the cookies for gift giving. I hope this answers your question, Patrick, and I do hope that you readers out there who have always wondered about freezing your decorated cookies profit from this little tutorial. It's nice to know that one can get cookie decorating projects out of the way a few weeks ahead of time, especially around the holidays. Think of this as we head into summer with many parties and weddings to be had. I've never tried freezing a decorated cookie.. but do freeze cutout sugar cookies frequently. Great advice! Kenn, you'll be surprised by how well the cookies hold up. As long as you seal them very well, the iced cookies will still be delicious a month later. I know I don't need to say it, but using good ingredients also helps a lot. Do you know about how long I should allow for thawing the frozen iced sugar cookies? Should I remove them from container and place cookies on parchment while thawing? Thaw iced cookies (still in their bags and wrapping) overnight in the refrigerator. The following day, let the cookies come to room temperature while still in the plastic bags/wrappings. Once they've come to room temp, serve or package them up for gift giving. What does flocked with sanding sugar mean? I want to bake and decorate cookies a week in advance for a cookie exchange. Is there a special icing I should be using? Annie, flocked with sanding sugar means that you sprinkle the crystal sugar onto the wet icing (it's like when you apply glitter to a glued surface). Once it's dry, you can shake off any stray sugar crystals. As to the royal icing I've mentioned, it is a meringue powder-based icing made with confectioners sugar. Go to my search box and type in "perfect royal icing" for the recipe. Or copy and paste this link. I give you the recipe with step-by-step instructions. Yes, the tops should have been made at least a day in advance. I've never put decorated iced cookies in the freezer that were still wet, so I'm not sure that they will set properly. Tip: decorate the top of the sandwich first. When it has dried and is firm, attach the bottom cookie with icecream....then put in the freezer. Otherwise the Royal icing will NOT set up. Great! That is a good tip. 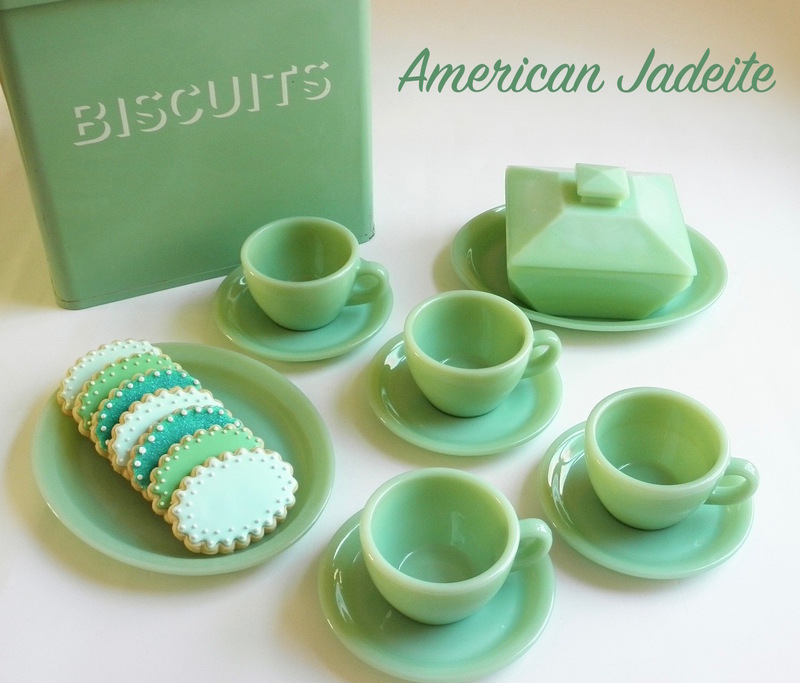 Is there any way that I can frost and decorate sugar cookies (with colored sugars, etc.) and then freeze them 14 days before Christmas? Yes, here are my tips! Thanks for the tip about not freezing with coloured sprinkles...that is exactly the advice I was seeking! Good to know about not freezing cookies with colored sprinkles...thank you for that tip! I have mine iced and have put white sparkling sugar around the edges. After freezing these will I be able to thaw them and adhere colored sprinkles with more meringue icing before I package them? Yes, absolutely. Make sure the cookies are completely thawed before you apply anymore icing to them. After you thaw the sugar cookies, approximately how long would you say they will be good? I recognize every cookie recipe is different, but should we assume that the shelf life would be the same as if we had never frozen them? Shelf life for most sugar cookies, whether they've been frozen or not, is about 7 days. This is if they've been stored/sealed properly. I was wondering how long a thawed cookie (uniced and iced) stays edible. I know the logic of freezing other goods but since cookies are "dry"... thanks! Thawed sugar cookies, like fresh sugar cookies are edible for a good week to two weeks, depending on the recipe. I’m going to be making hundreds of cookies for my daughter’s wedding. I don’t want to be baking and icing the week of the wedding. Can cookies be baked, frozen, then thawed at a later date, iced and refrozen? Does vacuum sealing crush or cause cracking of any dimensional royal icing designs? Since some out-of-the-country relatives will be staying with us (hence, eating ) refrigerator space will be limited. Any other way of thawing? You have quite an undertaking in making hundreds of cookies for your daughter's wedding, but it's exciting! Congratulations to your daughter. First things first: I've never frozen, thawed and then refrozen cookies before, so I'm not sure I would recommend that. You may have issues with the flavor of the cookie if you do this. 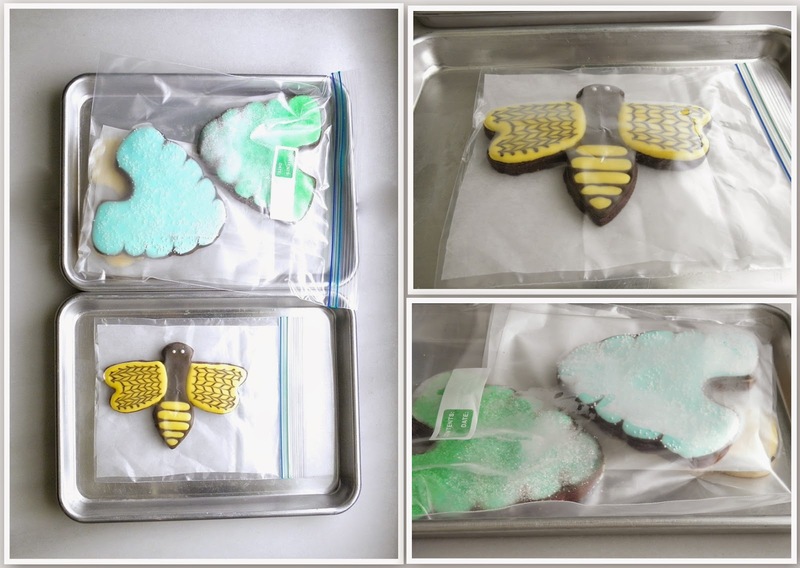 Vacuum sealing: If you're going to add stiff royal icing, gum paste or fondant embellishments onto your iced cookies, the vacuum sealing may not be as gentle on these as you would like. I wouldn't use that method for these types of cookies. If the cookies are iced with a simple royal icing decoration, then you can probably trust the vacuum sealing system. This is what I would do if I were you: bake and freeze the cut outs up to a month in advance (naked cookies can easily be vacuum sealed). 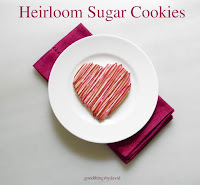 Up to 2 weeks before the wedding (this will depend on the sugar cookie recipe: if it's more of a shortbread type cookie, they can stay fresh at room temp for up to two weeks), thaw the cookies and then ice them how you wish. Package up the cookies in tupperware-style containers once the icings and decorations have dried completely, leaving them in a cool place that doesn't get any type of humidity. Done this way, you won't take up any precious space in the refrigerator or freezer. I hope this helps, Karen. Best of luck to you!! Same as above, making 300 cookies for my daughters wedding in October. I'd like to make the cookies ahead of time of course and will be doing sugar cookies with royal icing, placing two each in cello bags. Should I wait to ice the week prior to the wedding so two cookies in a bag don't get all squished together or ruined? OR can I ice cookies, freeze separately, then thaw and bag? Cindi, I would ice the cookies up to one month in advance (300 cookies is quite an undertaking) or a couple of weeks ahead of the event, and then freeze them in stacks of 4-6 in zip-top bags. Thaw the cookies overnight a couple of days ahead, then proceed with bagging them in cellophane bags as planned.